East Coast Cup is the one time when teams from each conference come together at one location to determine who is the best of the best. The event is open to all teams. No prior participation in any conference events is required to play in the East Coast Cup. To win any tournament within the EPL series is a true accomplishment, but to win the East Coast Cup is victory that demands the respect of players and teams not just at the regional level but at the national level as well. The EPL will continue to use the APPA’s system for our registration processes. The APPA is not only used for registering your team for an event, it is also used to rank individual paintball players. Players are ranked according to their experience and are then able to join specific rosters. This ranking system assists with leveling thing the playing field for all participants. The EPL has an event paint only policy. All paintballs that are used in the tournament must be purchased through the EPL website or on location at the EPL registration area. 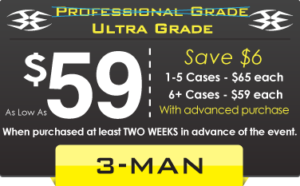 In order to save time and money, team are able to purchase discounted paintballs ahead of time on the EPL website. Once purchased, the teams order will be waiting for them at EPL registration area, thereby skipping the long lines. The official field layout will be released to the public on Monday night, 12 days prior to the event. Our official layout is partner paintball fields on Monday night 19 days prior to the event. 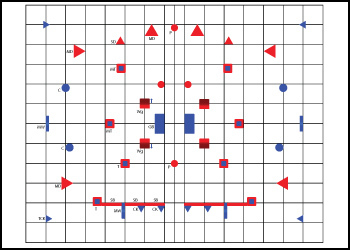 These partner field are encouraged to set up the official layout so that competing team will have the opportunity to practice their game plan ahead of the event. If your home field is not a partner field, please have them contact us for more information. Team Check-In opens 6:30am to 9:00am. Player ID Pick up for players 6:30am to 9:00am. All team captains must attend the meeting. A schedule we be distributed to all teams who advance to the playoff round following the lunch break. Awards Ceremony at the EPL registration area. Pictures taken of winning teams at the conclusion of the Awards Ceremony. Fields open for walking. Available pending weather and daylight. Team Check-In opens 6:30am to 8:00am. Player ID Pick up for players 6:30am to 8:00am. PURCHASE TWO WEEKS EARLY TO GET THE LOWEST RATES ON EVENT PAINTBALLS ! Discounted paint deadline April 2nd, 2018. 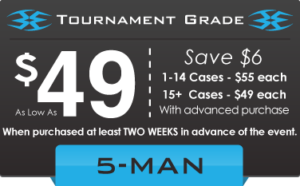 Save $10 per case on Tournament or Professional Grade paintballs by purchasing in advance, 13 days before event. 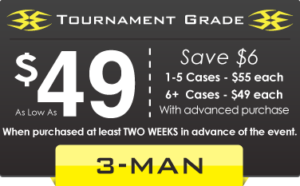 All advanced purchasing customers are eligible to receive additional paintballs at discounted price on the day of the event.